Tuesday, Dec. 29, 2015 (Halifax, NS) – Mayor Mike Savage and members of Regional Council are inviting residents to join in New Year’s Eve celebrations being held this year at the Emera Oval and Grand Parade Square. On Dec. 31, lace up for a fun, free, family-friendly event at the Emera Oval. Public skates will be hosted from 5:30 p.m. to 8 p.m., and again from 9:30 p.m. to midnight, with music and fireworks at 7 p.m. and midnight. The municipality is pleased to partner with Eastlink TV on the main event, New Year’s Eve 2016, being hosted in Grand Parade. This year’s event features an exciting entertainment line-up, including Cirque performances and live music by Neon Dreams, Christina Martin, Christine Campbell, Gordon Belsher, Richard Wood and Jerry Deveaux. Pre-show events and giveaways begin on site at 10:30 p.m., with the live broadcast on Eastlink TV (channel 10, HD 610) beginning at 11 p.m. (AST). Don’t miss the opportunity to ring in the new year with family and friends at this free event; see the dynamic LED video wall and the biggest fireworks display in Atlantic Canada, with a fireworks tribute to Newfoundland and Labrador’s New Year’s at 11:30 p.m. (AST). Use #HfxNYE on social media to share photos, New Year’s resolutions, and collectively countdown to 2016! Let Halifax Transit be your designated driver on New Year’s Eve. The municipality is offering free and extended service on buses and the Alderney Ferry begins at 6 p.m. onward in support of M.A.D.D. Halifax Region. 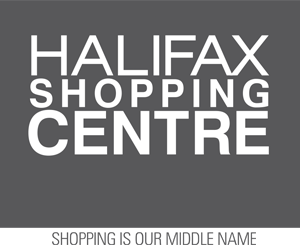 Visit www.halifax.ca/newyearseve for complete event details. RCMP charges a newly licensed driver for Stunting, Lower Sackville, N.S.